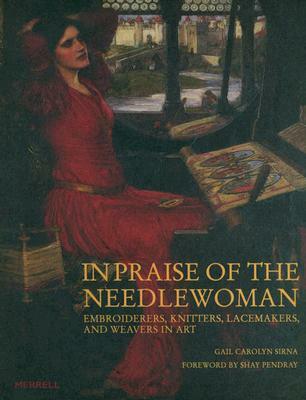 This charming and rewarding collection of beautiful paintings celebrates the centuries-old iconography of women engaged in needlework, an activity that has always united women from all countries and in all stations of life, whether taken up for practical or artistic purposes. Artists as long ago as the Middle Ages sought to capture the needle-worker's quiet concentration and domestic mileu, to convey the social and cultural connotations of this largely female domain, and its symbolic resonance. Many of the loveliest of these paintings are depicted, including works by Vermeer, Chardin, Velasquez and Dali by the Pre-Raphaelite school and by the Impressionists, in particular the works of such women artists as Mary Cassatt and Berthe Morisot.